Surprise! We have company... A pair of pocket-sized pets have stowed away in our 100% cotton tunics to join pocket-sized explorers on their travels. 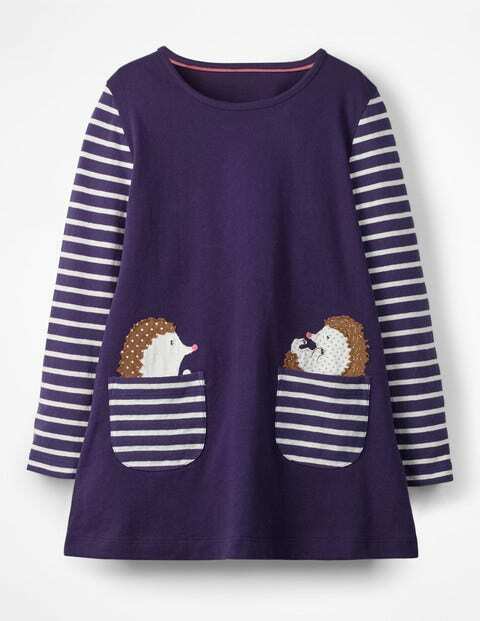 Stripey sleeves, gold sparkly details and colourful pompoms are coming along for the adventure too.